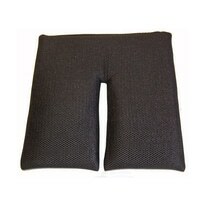 The Seat Bottom Pad Insert is designed to add comfort and positioning for Axiom passengers. It is made from a viscool foam that is breathable and covered in our wicked breathable material with a cut out for the five point harness. The Seat Bottom Pad is available for all Axiom sizes.